When the original Diablo III launched in 2012 on PC, it was plagued by server issues that made it nearly impossible for those affected to play. I was one of the players that stayed up until 3 a.m. to play with friends as soon as the servers were set to go live. I remember sitting in a room with my friends and our computers ready to go, falling asleep as the minutes ticked by. Even through the fatigue I was coherent enough to play Diablo III as soon as I possibly could. What followed next was a massive disappointment that pushed me away from the Diablo franchise for over two years. After staying awake all that time, I was unable to log in for about thirty minutes. Once I finally made it inside, I was continuously kicked out due to various bugs and errors. Server lag and constant drops made it impossible to play that night, and the problems would carry on for the following week would lead to the same experience. While my friends were willing to suffer through a less than stellar launch, all I could think about was how well this title would have fared on consoles. Blizzard has always been hesitant to release their games on consoles because of power and control constraints, but console gamers always clamor for ports of their games. I was a little shaky about giving Diablo III another chance, but the PS4 version had me intrigued with all of its changes over the past two years. Diablo III: Ultimate Evil Edition on the PS4 delivers with a smooth control scheme, punishing difficulty levels, player customization, and a really fun combat system. Any ill will I harbored about Diablo III before is now long gone and the game has left me craving more Blizzard console ports. Diablo III: Ultimate Evil Edition takes place twenty years after Diablo II and follows the character Leah, and her famous uncle Deckard Cain. The protagonist of the story is generic in his or her presentation, and Blizzard uses a cast of colorful characters to tell the story around the player. Although the main character has a distinct look and voice actor (depending on the class chosen), they never really sticks out in a meaningful way. Those familiar with Blizzard titles will be happy to see similar storytelling elements and high scale presentation. Diablo III is a very high quality game in every aspect and even though the story can be pretty entertaining, it has moments of cheesiness. Since World of Warcraft, Blizzard has been using over-the-top voice acting for most of their villains. After much comedic relief, they even had to change the Zerg voice acting in StarCraft II.Diablo III plays out in a similar fashion. Angels and Demons are at war with humanity stuck between. The Angles have abandoned humanity at this point, but the main character is out to crush the demons and forge an alliance with the Angels. 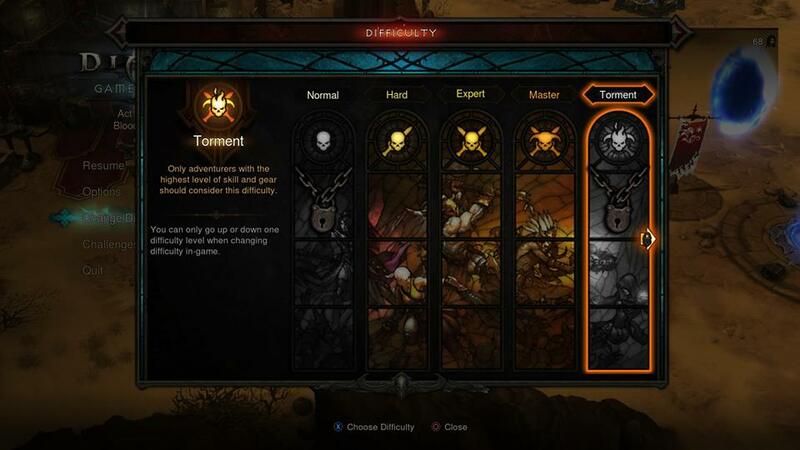 The core of the Diablo III experience lies in its leveling and looting systems. Players level up and customize their characters by killing groups of monsters and acquiring experience. Completing quests and killing monsters allows for loot to drop, and players are constantly killing, looting, and swapping out gear. Loot is the name of the game in Diablo III, and there are plenty of unique items to choose from. It’s almost unbelievable at how many different items there actually are. Most of the gear you’ll come across will not benefit the stats of your characters, but they can still be useful. Items can be sold and broken down into crafting materials to create other items in the game's hub town. The hub town has other uses including adding gems on gear to increase stats, buying and selling items, and transmogrification. Blizzard has done a fantastic job with focusing on the addictive nature of the combat, and ensuring that the entire experience surrounding it is as smooth of a ride as possible. Players can teleport directly back to town whenever they want, and after taking care of business they can use the portal to return to their original location. A simple idea, but it works wonders for gameplay and keeps players in the action. I was also pleasantly surprised at how few load times there were. It’s quick and easy to jump around between areas and join up with other players. Speaking of other players, Diablo III: Ultimate Evil Edition ensures that they will have a blast playing with friends. While the game has a PvP section, I skipped out after a few battles. To me, Diablo III's co-op is where the game really shines. Once again, Blizzard ensures that the experience is as smooth and simple as it can possibly be. Teaming up with friends to tackle quests and enemies only takes a few seconds, and joining and leaving a session automatically adjusts the difficulty to account for the additional players. On top of cooperative play, Diablo III also adds quirky mechanics that center around your friends list. Nemesis, a powerful and scary monster that stalks players, will attack you and your friends at different times during the game. Killing Nemesis can be pretty tough, but the rewards are well worth it. However, if Nemesis is able to kill one of the players he will then use a doppelganger of that player during his attack on somebody else on the friends list. This means that if your friends aren’t successful in their battles with the monster then you can end up paying the price for their failures. Those engagements are full of anxiety, adrenaline, and fun. Before showing up on screen the game will alert the player about the impending battle by making the Dualshock 4 rumble slightly as a battle horn lets out an eerie sound. You can run and switch between areas but you’ll have to eventually confront Nemesis in victory or defeat. Killing Nemesis and other monsters can also result in a “present” drop for one of the players on your friends list. These presents are a random piece of gear but they’re normally pretty high in terms of quality. These items are sent to the inbox of a specified player and encourage players to interact with their online friends. Diablo III has always seemed like it could easily be adapted to a console controller. While the keyboard and mouse worked pretty well, I prefer to use a controller instead, and I also generally enjoy the landscape of the console experience much more. Blizzard has done a phenomenal job with transferring Diablo III to consoles and the controls are incredibly easy to use and fully customizable. As players level up, new active and passive abilities are unlocked and can be placed on any of the skill buttons. The amount of skills and how different they can be utilized took a little bit of time to become accustomed to, but once I found a control scheme that worked for me it was almost impossible to deviate from it. Boss fights in each chapter add a nice bump in enemy difficulty. While traveling around and fighting common enemies, there isn’t much strategy to employee due to how quickly you can kill them. There are tougher enemies sprinkled in throughout the game, but nothing compares to the boss fights. Bosses in Diablo III are fleshed out and present enough so that players know who they’re out to defeat, and that they dislike them enough to want to destroy them. Bosses have high hit points, damage output, and require more strategy due to their attack patterns. Diablo III: Ultimate Evil Edition for the Ps4 is a worthy investment. Blizzard has taken the time to properly port the game over to consoles and it shows through every aspect of the title. 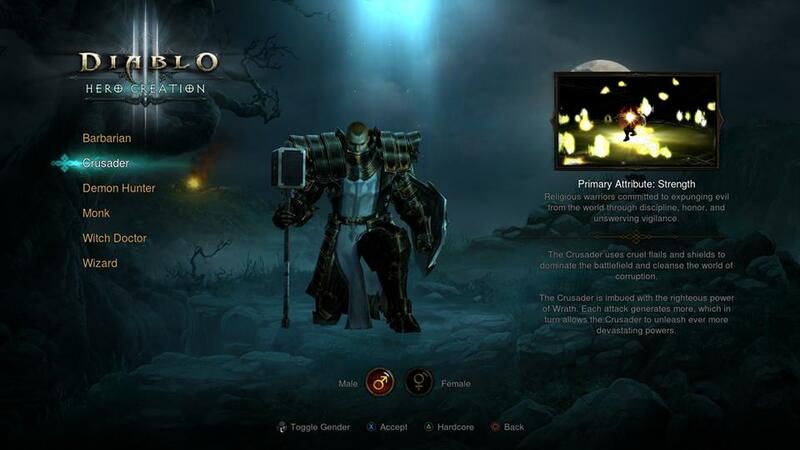 The customization, player interactions, level grinding, and loot drops make Diablo III an addictive experience on the PS4. With such a fantastic transition to consoles in Diablo III: Ultimate Evil Edition, I’m even more eager about possible Blizzard ports in the future. Diablo III: Eternal Collection is a fantastic addition to the Nintendo Switch lineup, and if the years of popularity isn't enough to go by, the vast amount of play styles and options offered by the game should suit the preferences of the many. This console version of the game is a faithful representation of the PC version that came before. Through both additions and subtractions, Blizzard has done perfectly what few developers even manage to get right. Reaper of Souls is an absolutely mandatory part of the Diablo III experience. If you managed to wait through the less then stellar launch of the main game, you have absolutely zero reason to wait any longer. This is the game that should have come out two years ago, and while it's sad that we didn't have it then, it's great to enjoy right now.